This recipe delivers classic carrot cake flavor and texture with a sensational whipped, ginger-cream-cheese frosting. Low carb, gluten-free, grain-free and dairy-free (cake). There have been a lot of carrots in my CSA boxes the last several weeks. More carrots than this household typically eats. I’m talking beautiful heirloom carrots, the kind that taste….. well, “carroty”. I have been using them in our weekly soups and in our salads as well as sending them to school as snacks for the kids. But with the two most recent CSA deliveries, I found myself with a glut of these sweet and earthy root vegetables. What does one do with a glut of carrots? One makes healthy carrot cake of course!….. and low carb carrot cake muffins…… and low carb carrot cake cupcakes, LOL! I’ve always been a carrot cake fan and I like mine best with raisins and walnuts and lots of spice. Oh, and let’s not forget the cream cheese frosting. But I don’t like just any cream cheese frosting. I like mine whipped into a fluffy confection that is soft and creamy and totally dreamy – but not too sweet. BAKING IS SO COOL. It’s completely satisfying to take dissimilar ingredients and mix them with humble eggs, leavening agents, and exotic spices to create something completely different in form, texture, and flavor. That’s what I love about it — the transformation. I like the juxtaposition of the before and after just like in the photos above. 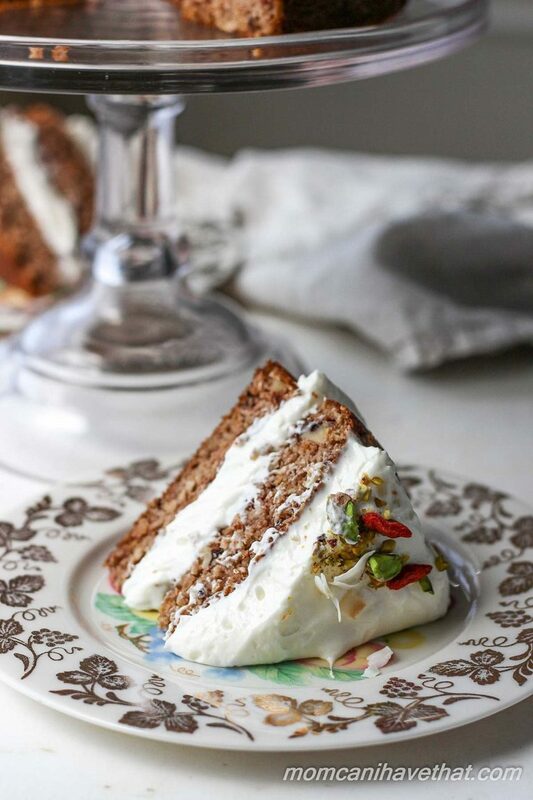 Earthy, unrelated and unrefined ingredients becoming a heavenly creation – like this delicious classic carrot cake. 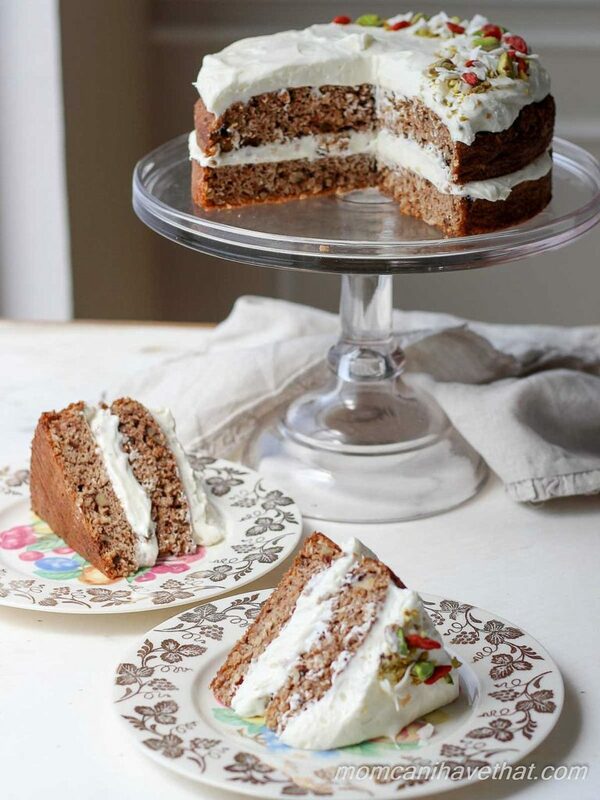 But this isn’t just a classic carrot cake, it is a healthy low carb carrot cake. And to keep it low carb, I deliberately chose each ingredient in order to deliver the most enjoyable flavor and texture possible. The shredded coconut shaved 1 carb off of each serving, and the coconut flour let me use more eggs and coconut milk – which in turn gave me a 2 inch cake, large enough to split in half and frost. The psyllium powder lent it’s binding power and added a little structure to this cake, helping to keep it gluten-free and dairy-free (as whey protein powder contains dairy and oat fiber is not certified gluten-free, psyllium was the best choice for my family). You may think I’m daft trying to keep the cake dairy-free when the ginger cream-cheese frosting is not, but I wanted our dairy-free and paleo friends to be able to enjoy the cake, too. They can make this great diary-free frosting from Real Food RN for theirs. I tested several versions of this low carb carrot cake recipe. Missing the raisins I so adore in a good carrot cake, I subbed rum soaked goji berries, which you can see in the wooden bowl above, opposite the grated carrots. 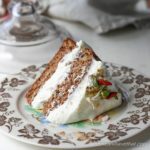 I loved the goji berries in the carrot cake and they added a little extra moistness, color, and flavor. But at the end of the day, I decided that they were not absolutely necessary and left them out of the final recipe. If you’re interested in how I incorporated them, ask in the comments. I also decided to experiment with the new Sukrin ingredients I was so graciously gifted by Sukrin USA. I was very happy with the results. BUT DON’T WORRY, I AM INCLUDING SUBS so anyone with a well stocked low carb pantry can also enjoy this wonderful classic carrot cake. If you are unfamiliar with Sukrin, it is a new line of non-GMO, sugar-free, gluten-free and low carb products from Scandinavia. You can read about them and see the product line in my Sukrin post. Sukrin Gold: Using Sukrin Gold in the carrot cake, lent a great brown-sugar depth of flavor to the cake. Sukrin Gold is an all natural brown sugar replacement made from erythritol, tagatose, stevia and gluten-free malt extract. It has the aroma, texture, appearance and sweetness of brown sugar. Replace 1:1 in recipes. Sukrin Fiber Syrup Clear: I used Sukrin Fiber Syrup Clear in the fluffy cream cheese frosting. Sukrin Fiber Syrup Clear is a clear viscous liquid resembling corn syrup. It is sugar-free, 60 % as sweet as sugar and made from prebiotic fibers. It behaves very similarly to corn syrup and added a silkiness to the frosting that is hard to achieve with erythritol alone. Sukrin Melis: I love this product. Sukrin Melis, a blend of erythritol and stevia, is a 1:1 powdered sugar substitute. This product dissolved beautifully into the cream cheese frosting producing neither the metallic/sharp aftertaste some detect when using erythritol, nor the cooling effect that bothers others. Overall, I was very pleased with the Sukrin products in this recipe. Again, I WILL OFFER SUGAR FREE INGREDIENT SUBS for those who do not have or are not interested in using the Sukrin products. This Fantastic Low Carb Classic Carrot Cake is 5 net carbs per slice! This recipe delivers classic carrot cake flavor and a nice moist texture and a whipped, ginger-cream-cheese frosting that will knock your socks off. Low carb, gluten-free, grain-free with a dairy-free frosting option. Prep: Prepare an 8 inch round cake pan with 2 inch sides: On a piece of parchment (with enough extra room to also line the inner sides of the pan), trace the bottom of the pan and cut out the circle. Cut the remaining parchment into 2 long rectangles at least 2 - 2 1/2 inches wide. Spray the pan with baking spray or grease with butter, coconut oil or olive oil. Lay the parchment round in the bottom of the pan and position the long parchment rectangles on the inner side of the pan. I find that I need to use just a little more baking spray or oil to get the over-lap to adhere. Preheat oven to 350 degrees (177 C, gas mark 4, moderate oven) and position the rack to the lower third. Grate the carrots and chop the nuts. Measure & Mix: Measure all of the dry ingredients into a large bowl and stir to combine completely. I like to use a large whisk because it breaks up lumps and fluffs up the ingredients. Give the can of coconut milk a good shake before opening. In a smaller bowl, combine all of the wet ingredients and blend them before adding to the dry ingredients. Add the wet ingredients to the dry ingredients, all at once, and mix the ingredients together completely. Add the grated carrots and nuts, mixing them in too. Pour into the cake pan and spread evenly with the spatula. Let the mixture sit in the pan for about 5 minutes. Bake: Put the pan into the oven and turn the oven up to 400 degrees (204 C, gas mark 6, moderately hot) and bake for 10 minutes. Then turn the oven back down to 350 (177 C, 4, mod.) and bake for 40-50 minutes more or until a toothpick inserted in the middle comes out clean. Remove the cake from the oven and drape two clean tea towels over the top of the pan. Let cool completely. Make the Ginger Cream Frosting: Grate 1 teaspoon of fresh ginger. With a hand mixer or a stand mixer, whip the softened cream cheese until it is smooth and creamy. Add the softened butter and Sukrin Clear Fiber Syrup and whip until they are completely incorporated. Measure the Sukrin Melis and sift it into the bowl. Starting slowly, mix the powdered sweetener into the cream cheese mixture. Add the fresh grated ginger. Turn up the speed on the mixer and whip until the cream cheese frosting has doubled from the original amount. It should be light and fluffy. It will become more stiff in the refrigerator as it and the cake get cold. Frost: Split the low carb carrot cake horizontally in half. Spread half of the frosting on the bottom layer. Add the other layer of cake and top with the remaining ginger cream cheese frosting. Refrigerate and serve. If I use Swerve confectioners, wouldnit measure out the same as the Surkin Melis? 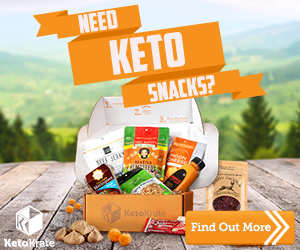 Do all Keto desserts with creme cheese in the frosting have to be refrigerated? I know real sugar serves as a preservative and I never refrigerate my traditional carrot cake. Thanks ahead of time for your response. I made this without the psyllium husk and it was awesome! Also, I didn’t know how to use the leftover coconut milk, so I mixed 1/4 cup with cream cheese, powdered Swerve, and ground ginger. It’s perfection, even though I didn’t have all the necessary ingredients at hand. Thank you! Made my husband’s first keto birthday extremely special. Thank you for all you do! I made your Carrot cake for Easter and it was such a wonderful treat! My company all loved it! I loved how the spices really shined through! I made a square cake using my 8 inch pan because it is 2 inches deep and it worked out perfectly! Such a wonderful recipe and cant wait to make it again! 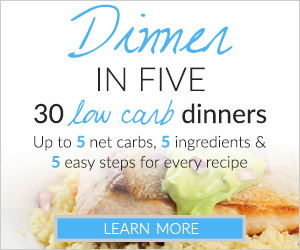 I made this and it was the best low carb dish I’ve made. Even my carb-addicted husband said so. I used ground flax instead of psyllium husk, liquid stevia instead of glycerite. I made slightly less icing and poured it into an 8×11 glass dish to bake. It was so so delicious and hit the spot! Hi Kim, this recipe looks wonderful, I’m so excited to try it! I’ve always put a bit of grated in apple on my carrot cake. If I added a teensy bit -say about a 1/4 cup would that ruin your whole beautiful recipe? Thanks for your help! I love your website. I added about a 1/4 cup of grated apple and it turned out great! Thanks for the recipe, everyone loved it ! I’ve just made this amazing cake today. I’m a cook, not a baker, though I followed the directions to a tee & I believe it is perfect! I’ve sampled throughout & even got a great taste of this moist cake as I was slicing it into 2 pieces. I just put the frosting on & put it in the refrigerator. I’m so excited. Thank you for doing such an awesome job of explaining how to make it. It did take me several hours, but I expect it will be worth every second. Hi Kim! This looks so incredible! Thank you for all of your hard work and guidance on such amazing recipes! I’m going to make this cake for my parent’s 41st anniversary, this coming weekend. 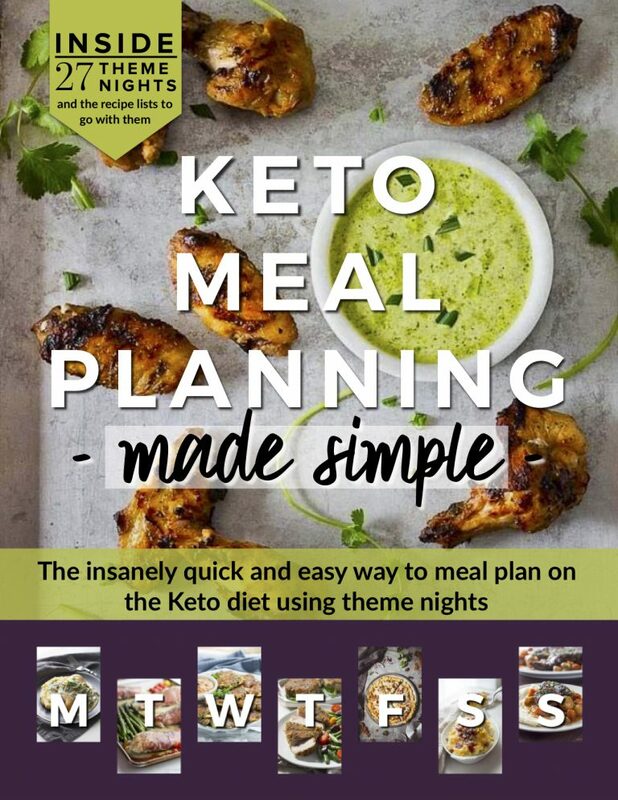 They’ve been Keto for a little over a month now, and I’m so proud of them. Anywho…. 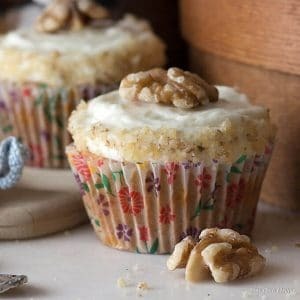 Can I use full fat coconut milk/cream instead of heavy whipping cream for the frosting? If not, I’ll just buy an organic whipping cream option, but if I can swap out the dairy for the coconut option, that would be great? Hi again Kim! Thank you so much for your quick response. One more question before I make the cake for my parents tomorrow… In the wet ingredients, if I don’t have any stevia glycerite, could I use Lakanto Monkfruit Granulated or Swerve Granulated? And if so, how much would you suggest I use as an equivalent to the sweetness of the Stevia Glycerite? I made this for my boyfriend’s birthday. I normally stay away from recipes that call for more than 4 eggs… He said it was the best carrot cake I have made. I only had 1/4 cup of shredded coconut and added roughly ground pecans for the difference. I also did not have enough walnuts and chopped more pecans. I used Just like sugar brown for the cake batter and 1/2 cup of confectioners swerve for the frosting. It is too sweet for me but it is his birthday cake. It made me smile. Thank you for the wonderful recipe. How long does the cake last in the fridge without and with the icing? Just wondering how far ahead of time it could be made. It lasts well in the fridge. If you wrap the cake really well, you can make it several days ahead before frosting. It will get “hard” because nuts and fat both firm up in the fridge, but will soften if left out for 30 minutes. My 8″ cake pan is the 1.5″ type, can’t find a 2″+ anywhere. Can I do in 2 8″x1.5″ rounds instead? Same baking instructions? Delicious and a very forgiving recipe! My partner cannot eat psyllium husks, we found out the hard way. He also hates shredded coconut. I subbed another cup of almond flour and subbed arrowroot powder for the psyllium husk. I know this increases the carbs a small amount, but it worked just fine. For the frosting, I left out the liquid sweetener and used 1 cup of powdered Swerve, I also added one Tbsp of lemon juice. Fantastic! The cake is not super sweet, but the icing is, so it’s a great balance. I’m going to make this in a couple of days. If I make cupcakes, how full do I fill the individual tins? Also, in your recipe you state to refrigerate and serve but you also say that it tastes less dry at room temperature, so when should I remove it from the frig before serving? And lastly, do I really need cardamom? Can I substitute or is the flavor necessary? Thanks in advance. My Husband and I made this cake last night/today…..OMG it’s fantastic! Thank you so much for this recipe! Hi-looks amazing—can ground (or whole) flax seed be substituted for the psyllium husks (if so which grind)? If not, what, if anything, is a good substitute for psyllium husks? What csn I sub for the psyllium husk? Can I usr whey protein powder? Also, what can I sub for the 1 cup shredded coconut, almond flour? Thanks so much! Hi Kim! Can I get that recipe too please?? Thank you!! Hi, made this yesterday, and it is proving to be a great success. Just a couple of questions though – your pic shows goji berries, but I can’t find them in the ingredient list… or am I going blind? And secondly, I am currently doing all my baking in a halogen oven, and found the listed temperatures and timings burned the top of the cake, and dried it out a little. In your experience, should I be reducing the temperature, OR reducing the cooking time for my next attempt? OR maybe both. I can experiment, of course, but just wondered if you could save me some failures, if you had a suggestion. Thanks! Kim, What s the purpose of using ground psyllium husks in the recipe? Could you tell me what you put on top of the cake to make it look so festive? I think the green are pistachios? I would also like to see the recipe without coconut flour. A couple of my kids seem to be sensitive to it. And there are no carrots in the one I see. Is that a mistake? Glad that you have a sub for erythritol products and look forward to the Surkin blend. I also appreciate that you have kept some dairy products available for the recipe and allow for alternatives to strictly vegan recipes. Cant wait to try and thanks for your diligence. Thanks, Kim! Love low-carb anything, especially carrot cake!! Ethan and I, actually our whole family, love carrot cakes!! Yummmmm! I would love to try this recipe — I do not have gluten issues, and wondered if I can sub oat fiber for the coconut flour? I made this cake for my birthday and no one guessed that it was low carb! I did find it just a touch dry, being used to the recipe with a can of pineapple bits. 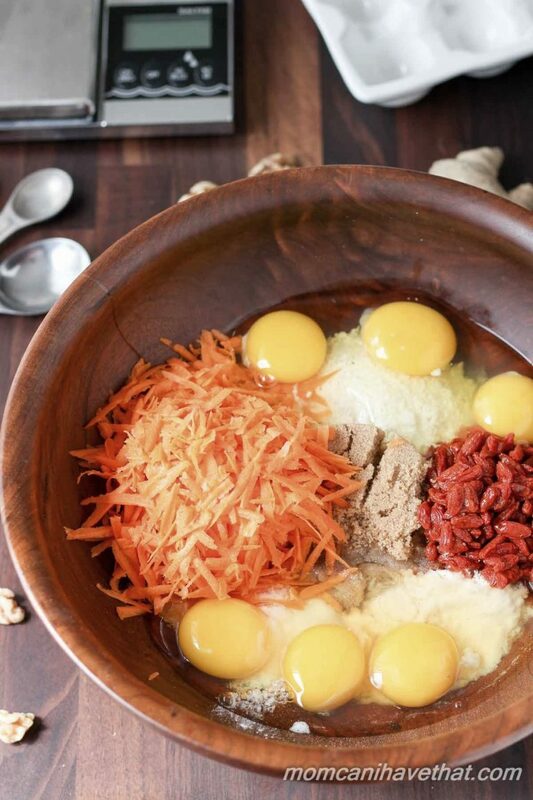 How did you incorporate the gogi berries? Or could I just add 1 or 2 Tbsp of HWC? If I wanted to use regular icing sugar in the frosting, is it really a 1:1 substitution? Most cream cheese frosting recipes call for, like, 3-6 cups of icing sugar, so I want to make sure that 3/4 cup is enough… if I added more, it may mess up the texture? I made this recipe into cupcakes today. They are incredible! This might be the best low carb dessert I’ve ever had. I had sukrin gold on hand so I made this with sukrin and then used the subs for the other sukrin products I didn’t have. Thanks for the great recipe! Have you made these as cupcakes? If so, how long did you cook them? Did you follow the same step of heating oven to 400 and then decreasing to 350 after a bit? Thanks!!! Can you omit the shredded coconut? It is a texture thing for my family. Would I need to adjust the almond or coconut flours to compensate? Thank you so much! 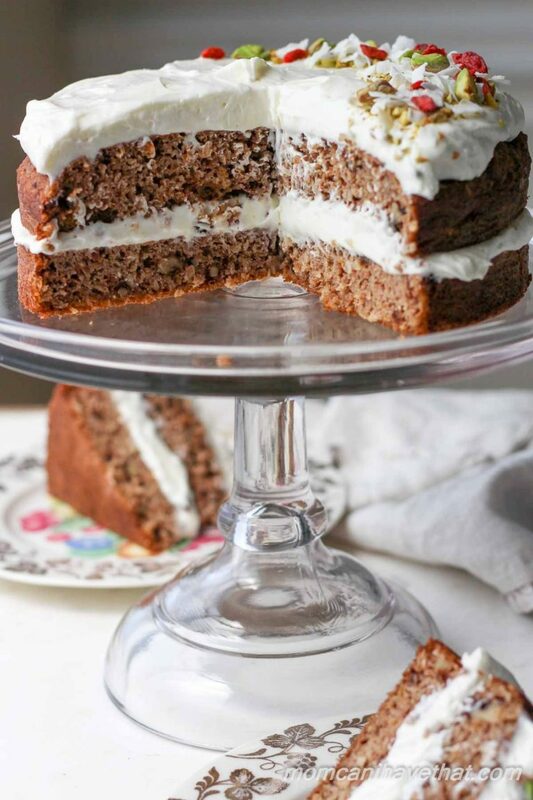 This carrot cake recipe looks so awesome!. This is beautiful. Carrot cake is a favorite of mine but never so healthy lol . I just love your website. Great photos. Hi.. i was also wondering about a recipe using all almond flour.. would you send it on? 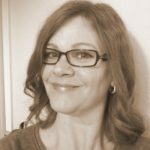 I travel a lot and have a diabetic husband that stays home. I would like to have these kind of desserts for him and us. I propose you make and I buy, think about it. It looks awesome!! Christine, Thank you so much. I hope you enjoy the cake. You can ask me any time for subs or special requests. I hope you enjoy the recipe. Sincerely, Kim. What a lovely cake :D I love carrot cake so I have to make this for myself! I could need some cake right now, haha! Can I use all Almond flour? I have an allergy to coconut, what would the amount for all almond flour and would I still need 6 eggs? Thank you???? I found your about page but did not see where to send an email?? Hi, I did send an email. Hope you received it. Thank you so much???? Christine, I am so sorry. I haven’t received it. Can I also have the recipe without the coconut wit only almond flour? What a lovely cake, that I have to try very soon. I´m from Denmark, where Sukrin is very popular. If you eat LCHF or any other low carb diet, Sukrin is a must have in the kitchen. This looks luscious! And if you have dogs, carrots are a great healthy snack for them! Thank you so much for listing normal product substitutes for Surkin products in this recipe. Every blogger must have gotten a “try this product” box this last month If you have a fully stocked pantry with regular LC/GF/SF baking products, its definitely a show stopper to have to go out and buy new products that are twice the price of what you have in your cabinets :) Not saying anything bad about Surkin.. but love that you understand we might want to ease into change slowly.